Despite a mother, who's claimed to regularly receive psychic impressions, BRIDGET GIBBONS had almost no interest in the paranormal before applying for a job with the GHOSTBUSTERS on a whim. Bridget has a real gift when it comes to dealing with spectral entities - her intuition in these matters is more than simple common sense, which suggests she may have inherited more from her mother than an allergy to strawberries. 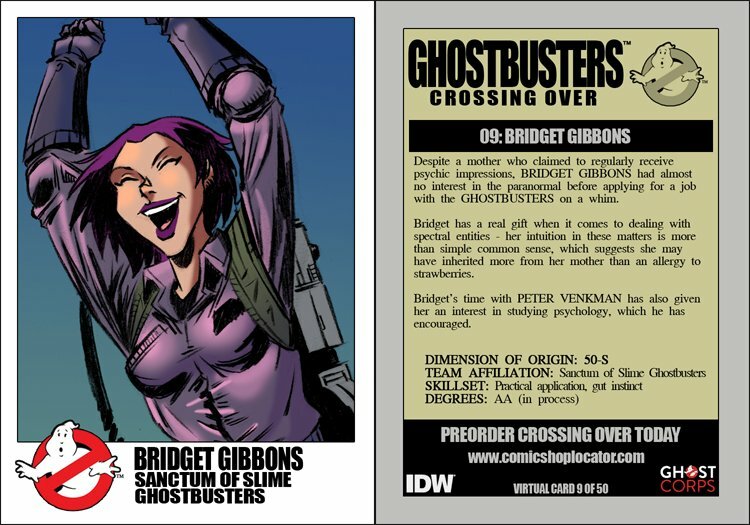 Bridget's time with PETER VENKMAN has also given her an interest in studying psychology, which he has encouraged.